And later, Ryan (different one!) 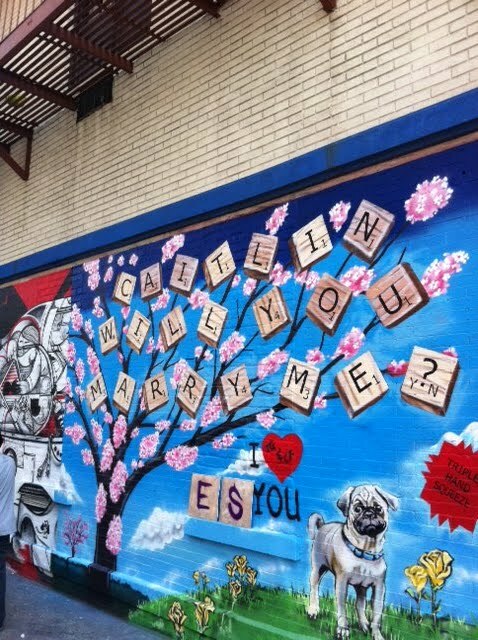 notes that the Caitlin of the mural said yes. Hey, he's not even on his knee! 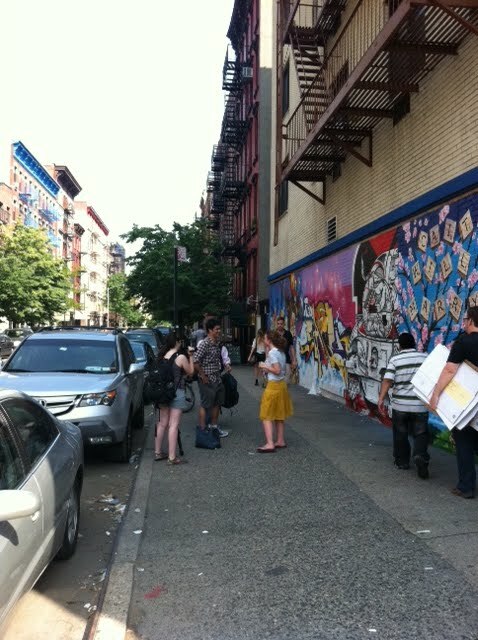 The Late Adopter has a nice shot of the mural too here. Probably better than putting it on the big screen behind center field at Yankee Stadium. and i thought I was a Scrabble nerd. It would've been so cool if he could've gotten The Scribbler to do it. That is artistically sweet! Nice artwork, I love it. No doubt she said YES! great work dude!